Party land is specialized in decorating, event planning and selling party supplies. Not only that but it can also arrange formal occasions such as corporate events and other festivities like baby showers. Aside from all the arrangements it does, it sells costumes for children to have fun in their pretend fantasy land. 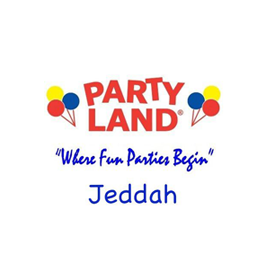 According to their Instagram account, @partylandjeddah, offers a 20% discount on costumes until 18 Nov.